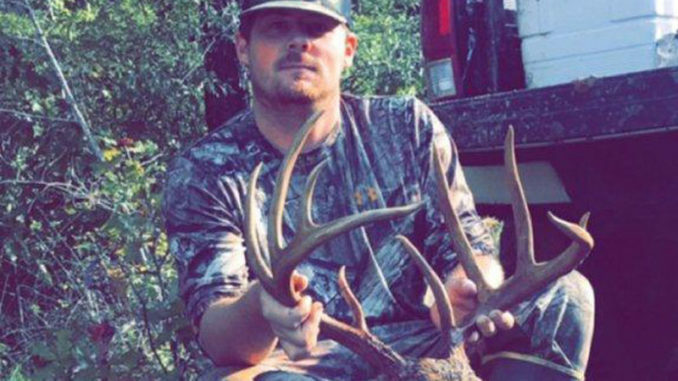 Kenneth Miller dropped this big Sabine Parish 10-pointer on Oct. 26. 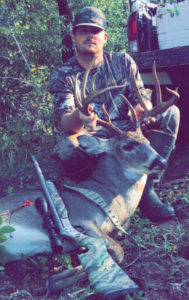 The buck green-scored 154 inches. Friday, Oct. 26 was the last day of primitive firearms season in Area 2 — and Kenneth Miller took full advantage of the final hours of that season. The 30-year-old DeQuincy construction supervisor wanted to use his CVA .45-70 before regular rifle season opened the following day, and he got the chance when a 154-inch 10-point stepped into his sight picture. Miller’s club, MC Hunting Club, is located just east of Florien and consists of 50 members hunting more than 15,000 acres of land owned by a timber company. Each member has his own area, and Miller selected a place to erect his tripod stand that is bounded on one side by tall mature pines, and planted pines 6 to 7 feet tall on the other side. Miller and his friend had hunted Thursday morning and afternoon and saw some deer, but nothing they wanted to shoot. Friday morning things changed for the better. Kenneth Miller dropped this big Sabine Parish 10-pointer that green-scored 154 inches on Friday, Oct. 26. “I was sitting on my stand watching five does feeding on the lane when they all suddenly went on alert and quickly took off,” he said. “I wondered if perhaps I had moved or they winded me, but then I saw movement in the young pines. One particular buck had been on his trail camera a year ago, a fine deer with an 8-point rack. This season, some of his friends had camera images of a big 10-point — and Miller hoped this was that particular buck. After texting his friend, they eventually walked down to where the buck was standing when it was shot, and they found evidence of a hit. They walked into the woods less than 20 yards, and saw the white belly of the buck on the ground. “We just looked at each other, high-fived and realized I’d shot not a ‘pretty good buck,’ but a really good buck,” he said. The 165-pound buck sported 10 points with an inside spread of 17 inches, and had 10-inch brow tines and good mass and length throughout. Miller’s taxidermist measured the rack at 154 inches of bone. Glynn Harris is a long-time outdoor writer from Ruston. He writes weekly outdoor columns for several north Louisiana newspapers, has magazine credits in a number of state and national magazines and broadcasts four outdoor radio broadcasts each week. 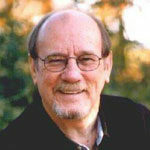 He has won more than 40 writing and broadcasting awards during his 39 year career.